Whether you’re traveling short distance or traveling long distance, a proper car gps system is a MUST. There’s many reasons as to why you would end up using a separate GPS unit and not your smartphone. Any type of GPS application such as Waze, Google Maps or Apple maps, will end up eating up so much more date, battery, and will bog down your phones performance during the whole process. While convenient, in some cases this proves to be a frustrating thing, making you wish there was a dedicated gps navigation system. Lucky for you, we’ve put together a list of the 5 best gps for cars and trucks that are very simple to use, and won’t ever require you to resort to your phone. Just simply plug yours into a cigarette lighters, adjust your settings, enter your desired destination and you’re ready to go. As our first navigation in our list, we have TomTom’s VIA 1535TM GPS. This unit in particular features a 5″ inch wide screen in full color LCD. Since this GPS unit has voice command, you can actually just speak out and direct it exactly what to do. Combine your smartphone via a Bluetooth adapter for hands free calling and voice recognition. Additionally, you’ll be able to know ahead of time which lane to use before you actually approach it. Important points of interest are featured on the map, some of which range from hotels to gas stations. Map coverage ranges from United States, Canada, and Mexico. Once purchased, the GPS comes installed with the latest navigation maps. Some extra goodies range from day/night time color change, speed limit alerts, blocked road alerts, and fastest route option. Overall, you’ll love this GPS because its easy to mount and easy to use. Today, Garmin pretty much has taken over the market for in-car gps systems by a big margin. While looking into some of their models, you may notice their similarity is quite significant. 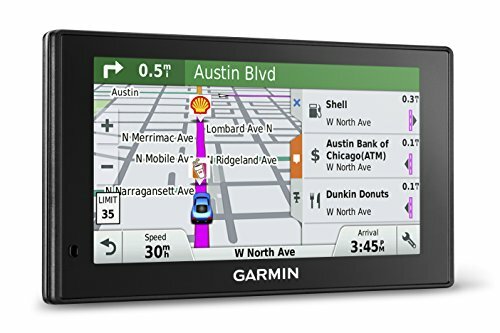 The #4 car gps we picked is the Garmin NUVI 2597LMT portable navigation unit. What we love about this unit right away is the cleaner and sharper look from the outside aesthetics, unlike the TomTom and Magellan counterparts. This unit features a 5″ inch wide touch screen, along with built-in Bluetooth compatibility allows you to pair this unit with your phone to share your phones data plan and find locations to park, POI’s, and your primary destination. Up ahead display displays nearby services such as restaurants, stores, hospitals and fuel stations. A great bonus with Garmin is the live traffic updates and monitoring that you have access to with no subscription required. Garmin Traffic will give you details on the actual situation, how many minutes to expect, and if there’s any detours to take which will save you time. Excellent for short and long distance road trips, mounts easy, and reasonably priced. Check it out below for more specs. Not as popularly known as a brand but just as good as TomTom its the Magellan RoadMate 9400-LM. 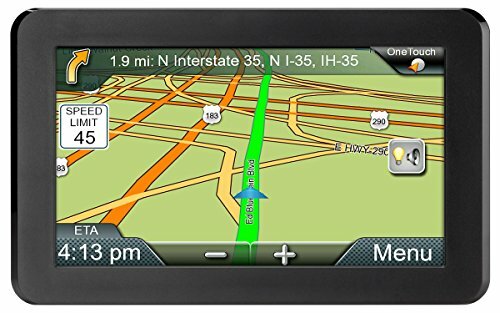 This particular car gps is 7″ inches wide and features maps for both US, Canada and Mexico. You will receive free lifetime updates of maps, never having to worry about driving down a road knowing the route may be outdated. Something this GPS unit has that no others do are life traffic camera alerts using the GPS database. Though probably not the best database, it surely will help you avoid some hidden traps that could cost you money and points on your license. Receive audible alerts when approaching school zones, railroad crossings and dangerous curves. Additional guidance is available for landmarks such as gas stations and grocery stores. Speed limits are featured on the left side to help you keep the right speed when driving. 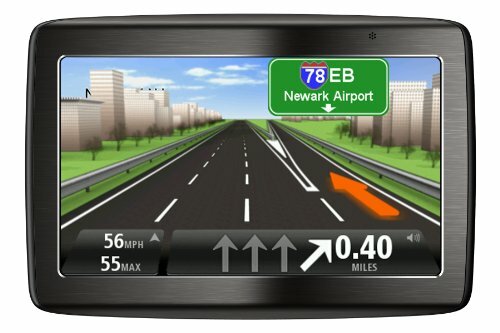 Overall, you’ll enjoy using this GPS because of the big 7″ inch display and overall ease of use. Though costing a bit more than most Garmin’s, it’s a worthy glance nonetheless. First off this unit features lifetime free map updates for both United States and Canada. The detailed maps show streets very clearly and even include states and provinces like Hawaii, Puerto Rico, U.S. Virgin Islands, Cayman Islands, The Bahamas, French Guiana, Guadeloupe, Martinique, Saint Bartholemy, and Jamaica. There’s points of interest planted all over the map, things ranging from hotels, restaurants, parking, entertainment, fuel, shopping and more. As you drive you’ll also be able to see the approximate arrival time, current GPS measured speed, current posted speed limit, far left corner direction arrows, and a full HD map. 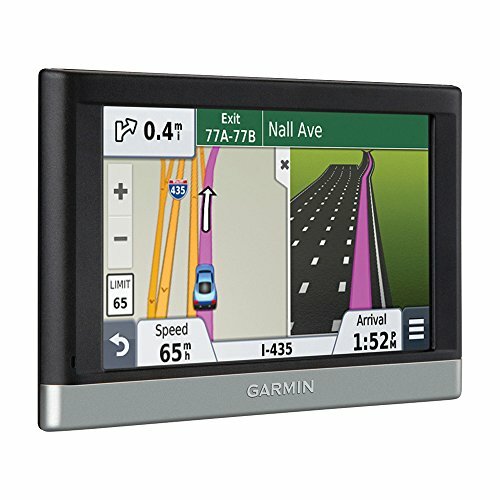 Now to our #1 top pick for the best car gps to buy, we have the Garmin DriveSmart 70 NA LMT Portable navigation unit. From our previously mentioned gps reviews, Garmin has clearly taken over the list with being previously mentioned as #2 and #4. 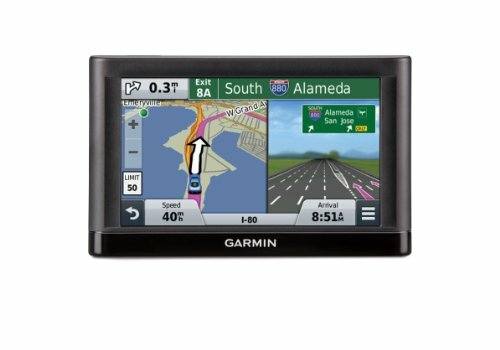 For top of the line product from Garmin, this 7″ inch global positioning unit is amazing! Like any other Garmin device there’s a touch screen which is a drastic improvement over their older touch screen models. This model gets a lifetime of map updates as well as life traffic updates, including the source of the traffic, estimated wait in traffic, and any available detours. With the Bluetooth enabled tech, you can pair this gps with your smartphone to perform hands-free calling. Pair it up with your Android smartphone to get additional information (using your phones shared data) such as parking spots, POI’s, and your destination. Along with the current speed limit, your current GPS speed, and arrival time, you’ll have the complete package. Now having a car navigation system is great, but there’s a few extra things that we feel you’ll probably want to grab for yourself as well. View the car battery buyers guide we’ve put together, this is to ensure your vehicle during ALL weather conditions, and heavy electrical loads, will keep running. Also take a look at our guide for getting the best radar detectors to help you spot police, before they spot you. This is crucial especially when you drive on the highway. Also take a look at the guide for getting a good quality head unit. Entertainment is crucial to make your road trips worthwhile and, bearable.